The idea of assembling a myriad of organic vegetables and nestling them in a light crust is not new! A vegetable tart, pie, galette or crostata is very popular in Europe and especially during the Easter/Passover season! My Savory Spring Vegetable Crostata ushers in Spring with delicious, healthy and nutritious vegetables wrapped in savory spices and herbs, then tucked in a light puff pastry sheet! Slices of organic fennel, onion, zucchini and mushrooms mixed with spring peas, okra and artichoke hearts are the stars of my Savory Spring Vegetable Crostata. 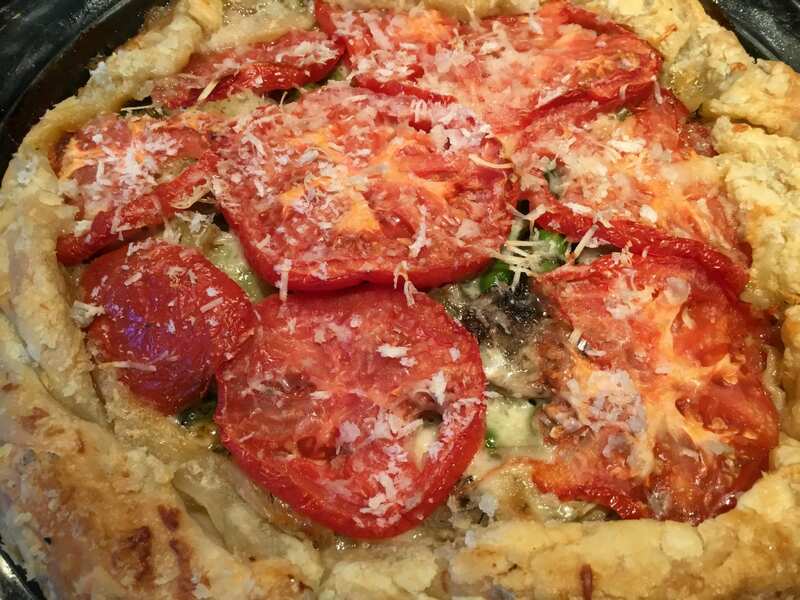 My Savory Spring Vegetable Crostata is seasoned with oregano, coriander, dill and Aleppo pepper flakes, held together with a wisp of Parmesan and Havarti cheese blend and topped with organic tomatoes, a crunch of Panko and course salt! 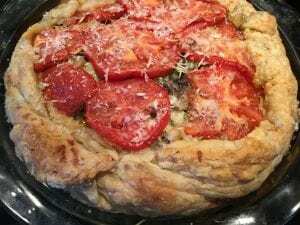 Enjoy my Savory Spring Vegetable Crostata with a crisp romaine salad and a dry white wine! Serve with a hardy salad and dry wine, Enjoy!